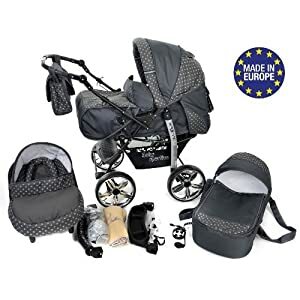 3 in 1 Travel System All in One Set – incl. 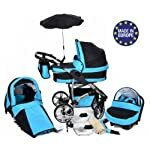 Carrycot, Pushchair Seat, Car Seat + Accessories: carrier bag, rain protection, mosquito net, changing mat, removable bottle holder. 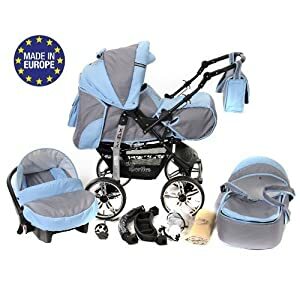 Travel System is a 100% made in the European Union. 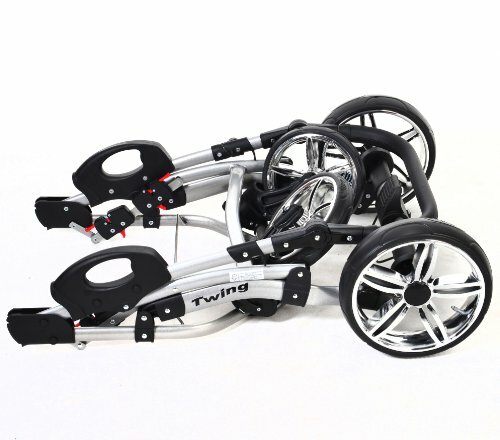 The innovative Twing is an all-in-one stroller that makes life easy – from birth to toddler. 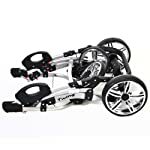 This model offers a smooth ride, no matter the surface and is easy to push, fold, carry and store and up to date designed solution has a simple folding system and offers a very quick installation of the different attachments. This Commute system meets your growing baby’s needs. 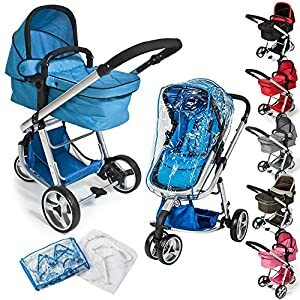 You’ll use it as a pram for your newborn baby and then convert it to pushchair mode. Your baby can also be pushed facing in or against the direction of Commute. That is especially necessary for the early stages when your child can not see very far yet and feels safer if mummy is in clear view. 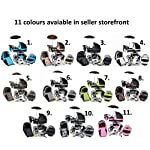 The pushchair seat can recline in several positions, including lie-flat. Sun hood with air-top – To offer a fresh air and offer protection to your baby from the warm sun. 3 in 1 Commute System All in One system – incl. 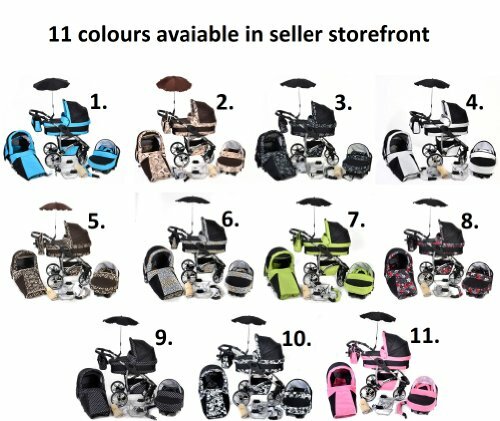 Carrycot, Pushchair Seat, Car Seat + Accessories: carrier bag, rain protection, mosquito net, changing mat, removable bottle holder. Commute System is a 100% made in the European Union. 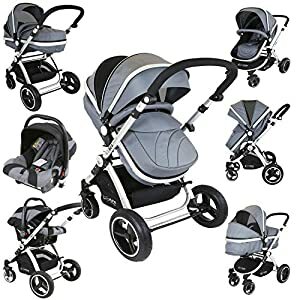 Car seat up to 10, Removable foot cover, Seesaw function. 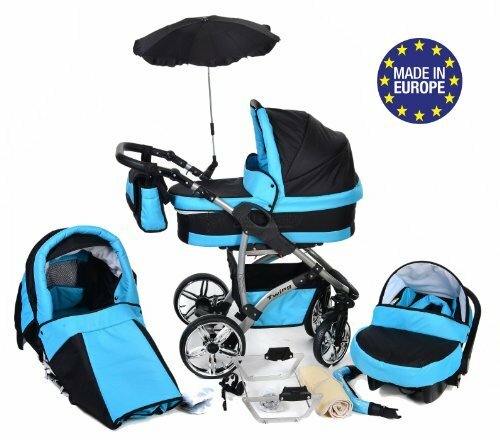 DIMENSIONS: folded pram 90x61x28 cm, carrycot’s weight 5.8 kg, carrycot 86×32 cm, chassis weight 10kg.